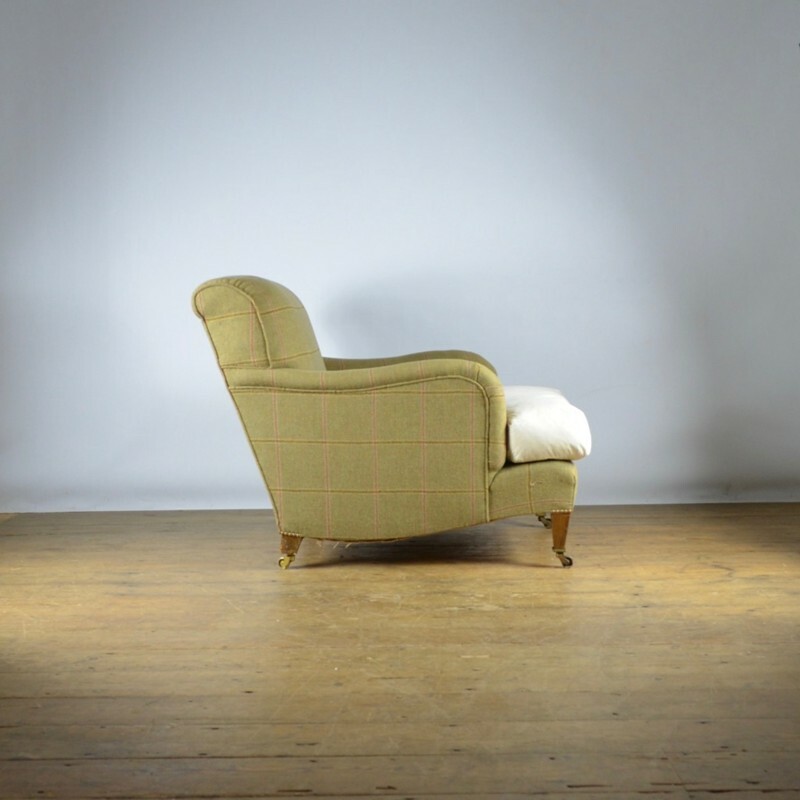 Pair of mid 20th century Howard Bridgewater armchairs, standing on square taper legs, with feather seat and back cushions. Back leg stamped HOWARD CHAIRS, 1707, Audley St., Castors stamped HOWARD & SONS. 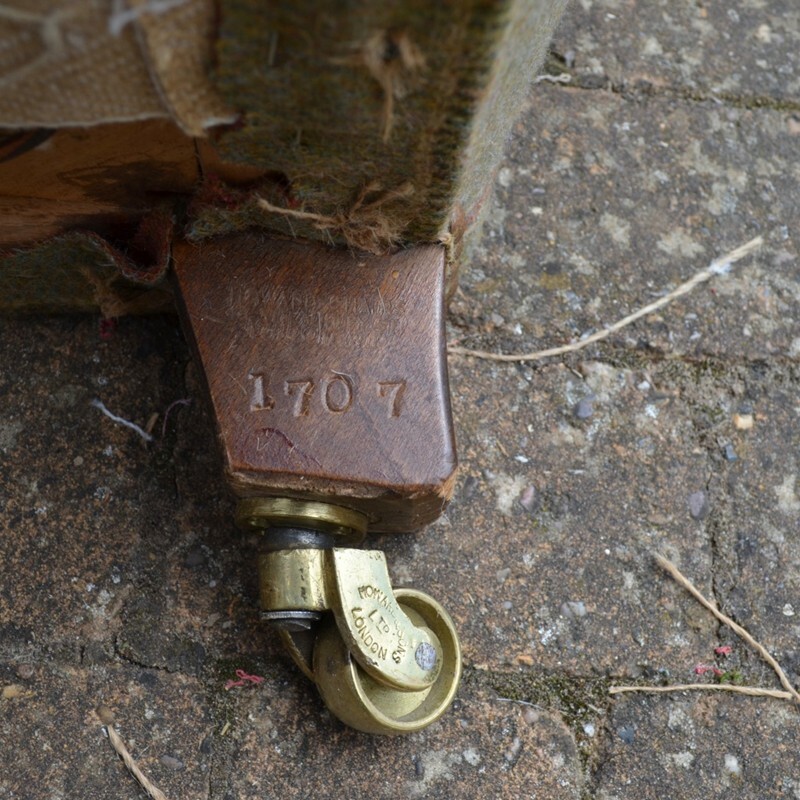 Price to include full restoration and re-upholstery. Fabric not included. 13m of fabric required. Please scroll down for full dimensions.